Today is Mr. T’s birthday. Born Laurence Tureaud, Mr. T is best known for his role as B.A. 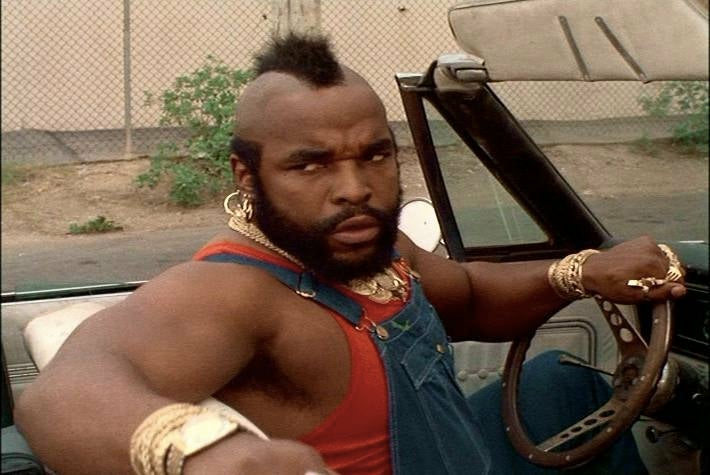 Baracus on the television series, The A-Team. As Baracus, Mr. T brought the tough-talking character to iconic status during the series’ four-year run. Mr. T’s other major role came during Rocky III, where he played Rocky Balboa’s boxing nemesis, Clubber Lang. After the two memorable roles, Mr.T went on to star in the television series T and T, and guest-star in a number of other projects including Cloudy with a Chance of Meatballs and The Simpsons. Born in Chicago, Illinois, Mr. T turns 64 today. Happy Birthday, Mr. T.